I’m back home in Galway, Ireland this week and while I was home I wanted to meet the guys who have set the restaurant scene a light with their warm hospitality and sensational Neapolitan pizza. Galway is the major food destination in Ireland, recently awarded the European Region of Gastronomy 2018 and Dough Bros are the restaurant that perched themselves as the number one restaurant on TripAdvisor for 14 consecutive months among 345 restaurants. 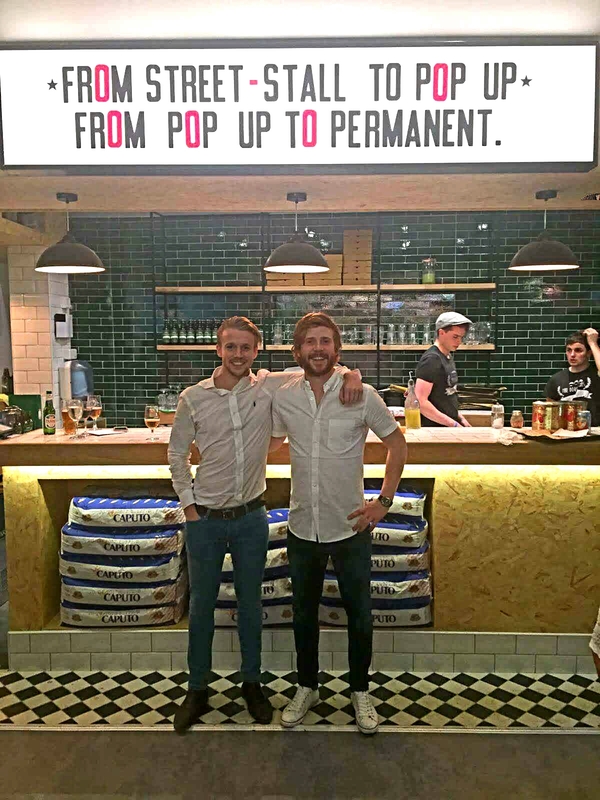 Dough Bros is founded by two brothers Eugene and Ronan Greaney. Eugene was laid off from his sales and marketing job during the recent recession and spotted an opportunity to go into business with his brother by starting up a food truck selling Neapolitan style wood fired pizza. The food truck quickly moved on to a pop-up restaurant with a 10 week lease, which extended to 18 months, and four weeks ago the brothers moved in to their first permanent space. It has been a rapid success story for the Greaney brothers with the future looking brighter than ever. In this episode I had an opportunity to speak with Ronan, who takes the mantle of Head Chef. Their vision is simple – quality ingredients and quality service, a restaurant should feel like a home. A place where diners can relax, socialize and feel acknowledged. Dough Bros Eugene Greaney food entrepreneurs food trucks Galway Ireland Neapolitan pizza Patrick McAndrew pizza restauranteurs Restaurants Ronan Greaney Why Food?